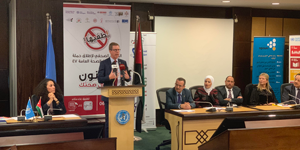 The Royal Health Awareness Society (RHAS) and Al Marji’ Publications sign a partnership agreement to raise and promote health awareness amongst families in Jordan. Through Al Marji’ Publications’ Family Flavours and Nakahat ‘Ailiyeh, Jordan’s only parenting magazines, RHAS empowers parents and caregivers to lead healthier lifestyles. 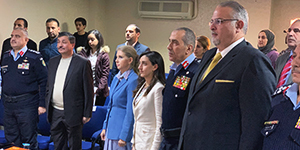 “We have been working with RHAS for the past six years to provide our readers with credible and up-to-date information in both Nakahat ‘Ailiyeh and Family Flavours,” states Hind-Lara Mango, Managing Director and Publisher of Al Marji’ Publications. “Because of its hands-on approach in local communities and schools, the Society continues to provide our readers with real-life success stories and medically-backed resources to support in areas like diabetes, osteoporosis and more,” Mango points out. 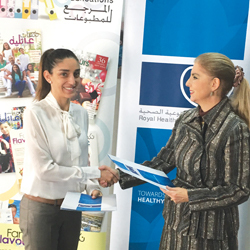 An initiative of Queen Rania Al-Abdullah, RHAS aims to empower Jordanians to adopt healthy lifestyles. The non-profit organisation has made considerable headway over the years within local communities all over the Kingdom. About Al Marji’ Publications Al Marji’ Publications is a publishing house that produces online media in addition to magazines and newsletters. Publications include Family Flavours and Nakahat ‘Ailiyeh parenting magazines and Aqaba Seasons tourism newsletter. 5-7% weight loss can lead to 58% drop in your risk of getting diabetes! So give your pancreas a rest so it can function well.